Xbox Live Gold members will receive another four new free Xbox games – two on Xbox One and two on Xbox 360 – as part of the Games with Gold program in December. December's 2017 Games with Gold lineup for Xbox One includes: Warhammer: Endtimes - Vermintide and Back to the Future: 30th Anniversary Edition. For Xbox 360 owners (and through Xbox One backward compatibility), December kicks off with Child of Eden, followed by Marlow Briggs and the Mask of Death. 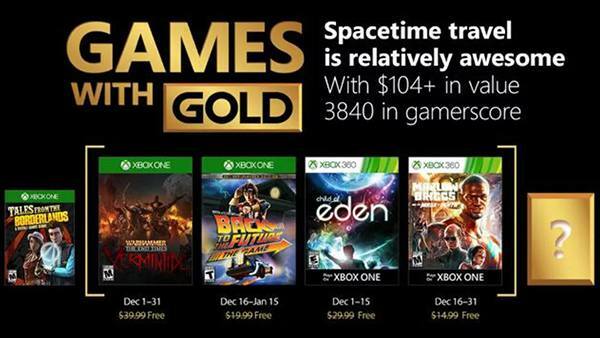 December's lineup provides over $104 dollars in value and up to 3840 in gamerscore. 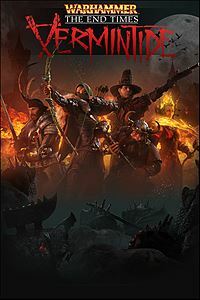 On Xbox One, Xbox Live Gold members can download Warhammer: End Times – Vermintide (normally $39.99 ERP) for free during the month of December. 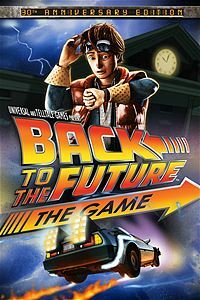 Back to the Future: The Game – 30th Anniversary Edition ($19.99 ERP) will be available as a free download from December 16th to January 15th. 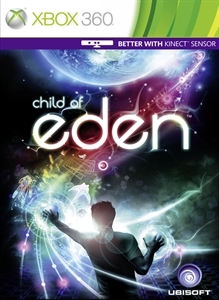 On Xbox 360, starting December 1st, Child of Eden (normally $29.99 ERP) will be free for Xbox Live Gold members through December 15th. 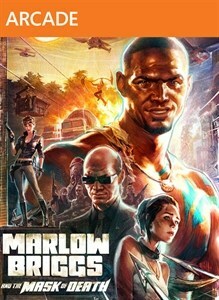 Then on December 16th, Xbox Live Gold Members can download Marlow Briggs and the Mask of the Death ($14.99 ERP) for free through December 31st. For more information on all of the games mentioned, please check out all of our Xbox One and Xbox 360 coverage via the Xbox Games database on XONEHQ/360HQ, and don't forget to follow us on Twitter, YouTube, Google+ and Facebook for all of the latest Xbox news, previews, upcoming Xbox One games release dates, Xbox screenshots & wallpapers, Xbox One Video Game Trailers, ID@Xbox games, Xbox Achievements and Games with Gold updates. Achieved 10 consecutive Perfect Octa-Locks. Achieved a total of 100 Perfect Octa-Locks. Purified an enemy using Octa-Lock. A fresh new installment to the original puzzle action hit titles series, “Lumines Live!” will debut exclusively on Xbox Live Arcade. featuring frenetic puzzle action married with video, music and themes from today’s hottest pop culture icons. What’s more, “Lumines Live!” features full multiplayer play over Xbox Live, an exclusive Duel mode and an a.. The latest creation by Q Entertainment, EVERY EXTEND EXTRA EXTREME (E4) is a unique action-packed shooter. Time your self-destruction perfectly, create chain reactions by exploding enemies, and extend the game life. Enjoy a trippy, trancey clubbing experience through the combination of highly addictive gameplay, music, and sharp visuals. E4 feature..
Take a ride through an intergalactic journey where you slide, stack, and ignite your blocks to blast away the world-ending Meteos. Only you can stop them from falling and crushing your planet! Master combo links and power-ups to challenge your friends in intense multiplayer sessions. Puzzle games don't get any better than Meteos Wars, where ..